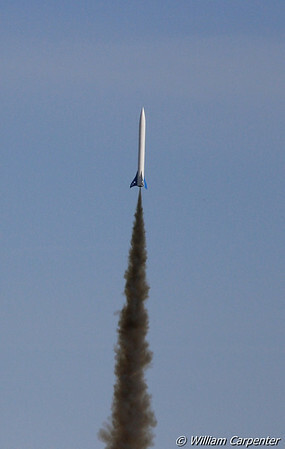 My photos from WAC's first Mansfield launch of 2012. 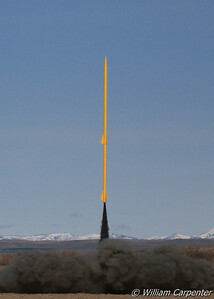 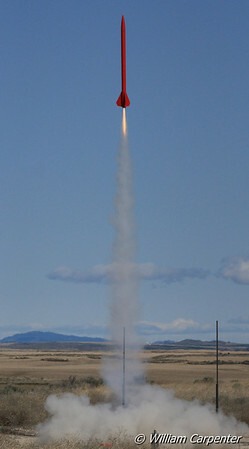 A Sputnik-inspired rocket lifts off from the mid-power pads. 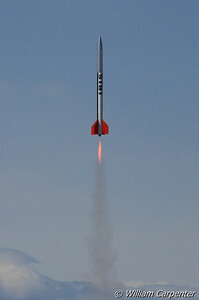 Tim Doll's scale Mercury Redstone. 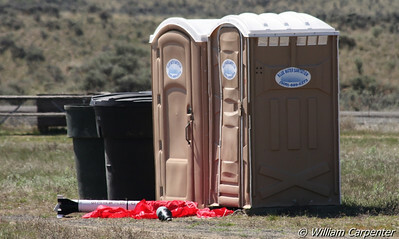 ... narrowly missed the facilities. 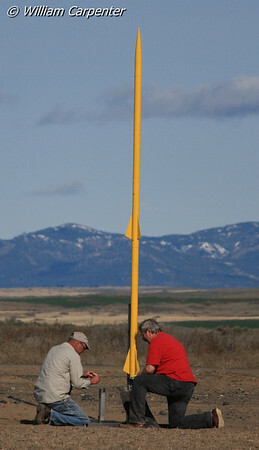 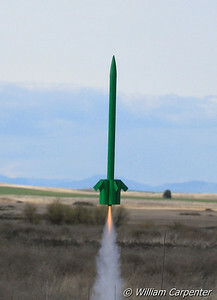 An Estes Super Neon XL. 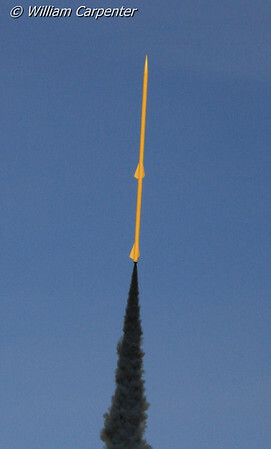 Mark Lyons' "Iron Horse" on a Loki I316 Spitfire. 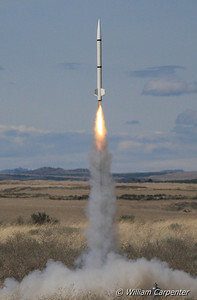 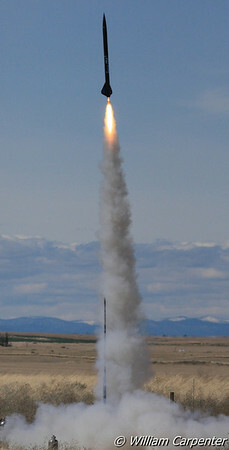 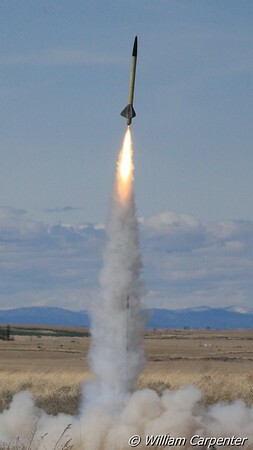 An LOC Iris lifts off on a long-burn G54. 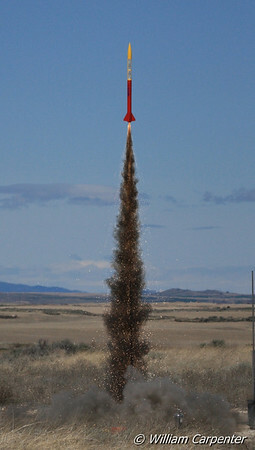 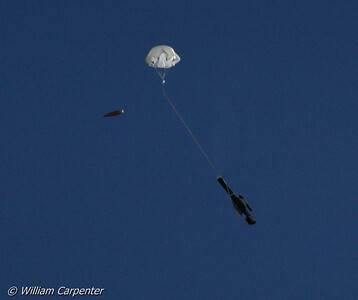 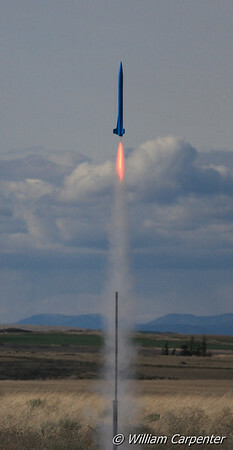 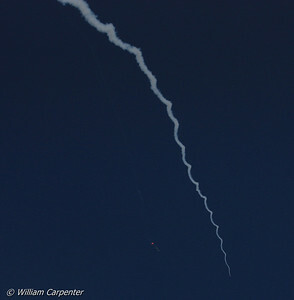 "Same Old Blues", an Always Ready Rocketry 3" Basic Blues kit, lifts off on an I211 to an altitude of 2514', my new personal best altitude. 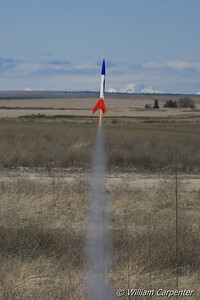 Luke Carpenter's "Miss Riley" on an H128. 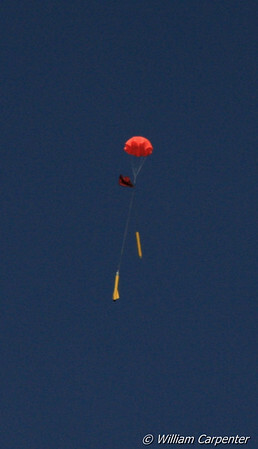 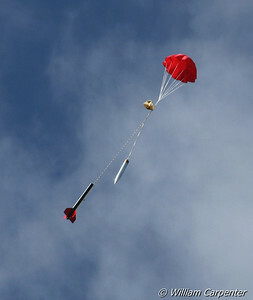 The Isis flies again for a Level 1 Certification attempt. 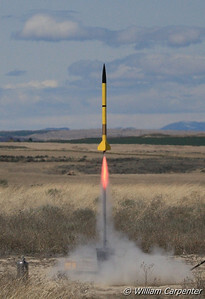 The Isis recovered safely for a successful cert. 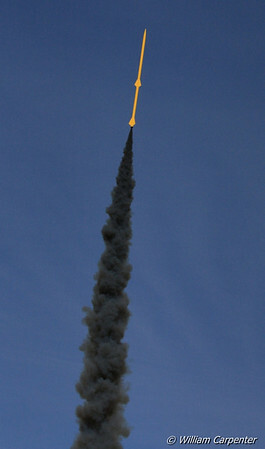 flight. 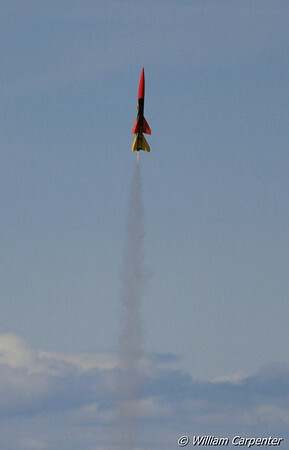 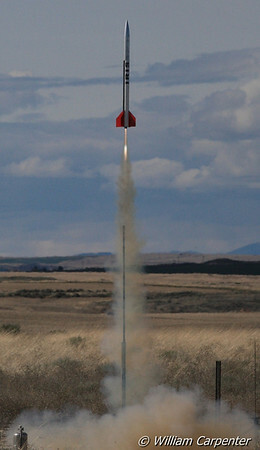 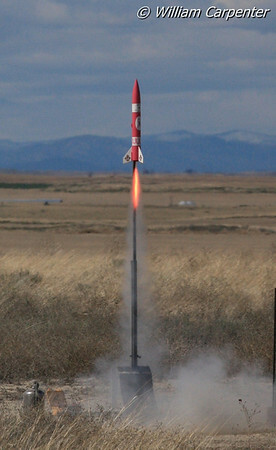 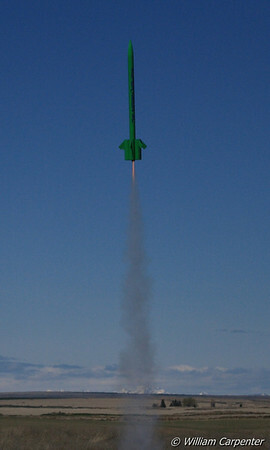 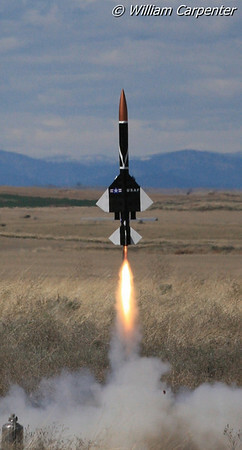 Bob Yanecek's minimum-diameter F-motor rocket. 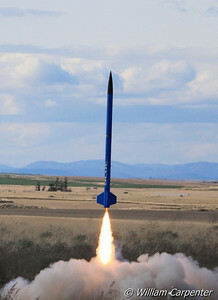 Dave King's "Blue Blaster" on a J415. 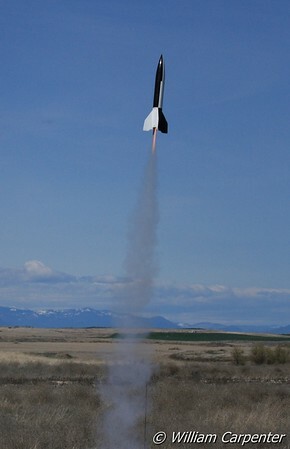 My Madcow Rocketry Solar Express on an F36. 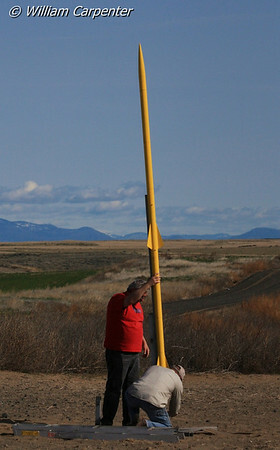 Dale Woodford prepping his two-stage K-to-K flight. 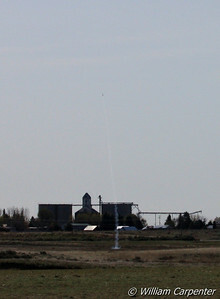 An AeroTech Mustang on a G138 (as viewed from the away cell). 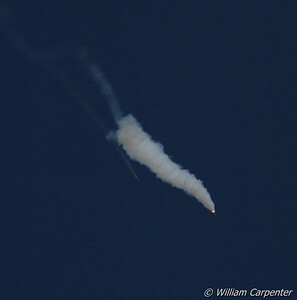 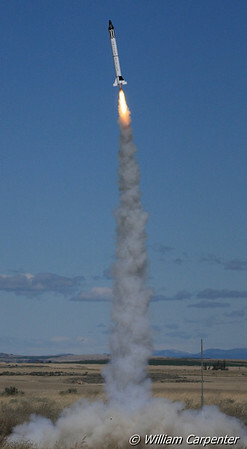 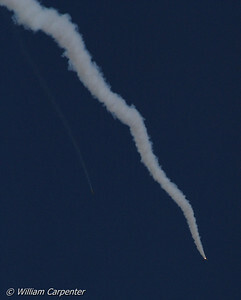 Ignition of Dale's two-stage flight. 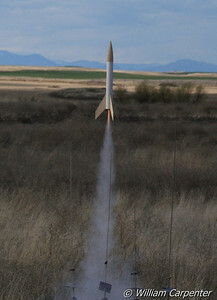 Staging to a long-burn K270. 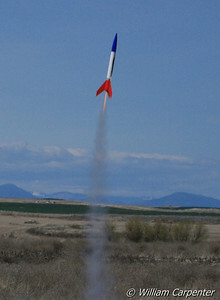 Luke Carpenter's Binder Design FITS Flyer on an I345.